Just one of the pluses of attending Spring Market is the opportunity to meet wonderfully talented people and interact with shop owners. 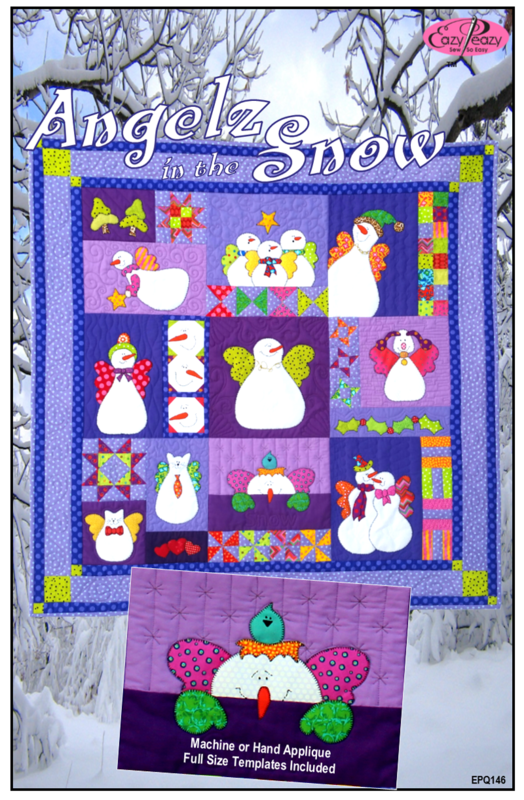 Ann Wiens, Instructor at The Creative Needle in Shelby, Montana loved our Angelz in the Snow pattern. When I suggested using it for a Block of the Month she said enthusiastically, “I was thinking of a retreat project ”. She’s right…why didn’t I think of that? We hung Mug Rug Critters made with three of our most recent patterns on clothesline across the top and sides of the booth. Over 25 (I lost count) “Critters” were adopted out to quilt shops across the country. Some were favorites and hard to part with, but I know they will generate sales for their new homes. If you want some to come and visit you let us know and we will arrange for a Trunk Show. Tucked away at the end of the first aisle was Sew Very Smooth. They have the Ideal Seam and Quilt Guides….a “ideal” way to determine your machine's needle position for scant ¼” or perfect ¼” seams plus many other widths, too. Then you can use their removable fabric guide as you stitch the seam. Really worth checking out at www.sewverysmooth.com.